Relax in your home with this stunning floral piece, perfect for any room to create a natural and nature-like vibe. 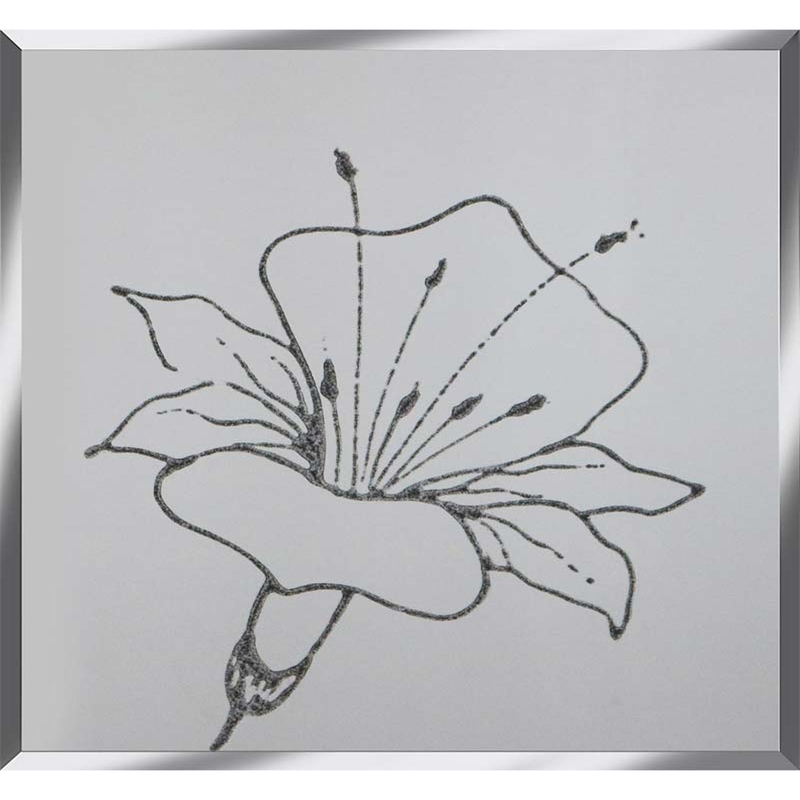 Featuring a lily flower made from silver glitter on a mirrored background. This piece was hand finished in the UK, come in our set size as well as the availability of custom sizes, with brackets attached on every purchase. You wont fail to impress with this peaceful and elegant design. Custom sizes also available. For further information on pricing, please contact our office on 01642 455589.